Isn’t it great to open the windows & let the fresh air in at this time of year? 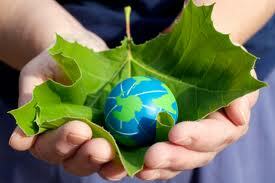 Just because it’s earth day doesn’t mean you need to invite all of earths atmosphere into your home. Some things are better left outside—like flies, mosquitoes & other flying insects not to mention the germs & diseases they carry. It’s amazing how they can find their way into your home through the tiniest openings. That’s why we are perfectionists when it comes to screens. Not only do they need to be in good repair but they also need to fit properly. It’s amazing how many screens out there don’t fit right even though they are the original screens from the factory. We also have an awesome sliding screen door that we promise you’ll never bend or curse. It’s the Cadillac of screen doors. Another great option for doors— both sliding & swinging, is a retractable screen that is out of site & out of the way until you need it; then you simply draw it across & voila— instant screen! They’re awesome! Give us a call & enjoy the fresh air! This entry was posted in Uncategorized and tagged screens, window cleaning, Windows. Bookmark the permalink.